This Toronto virtual office is located in The Toronto Star Building which provides great views of the city skyline, the Toronto Islands and Lake Ontario. 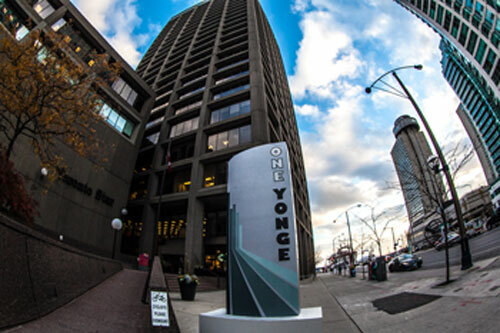 This building at easily memorable 1 Yonge Street is a great address to have on your business card or to conveniently meet with clients. This virtual office in Toronto offers a range of office services including conference rooms, furnished temporary-use offices, video conferencing, mail handling and more. This is a great location that puts you squarely in downtown, but offers easy access to major thoroughfares including Gardiner Expressway.